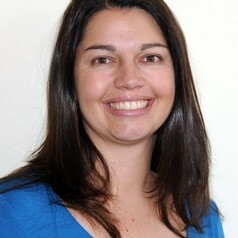 Dr Nicole Wolter is a principal medical scientist in the Centre for Respiratory Diseases and Meningitis (CRDM) at the National Institute for Communicable Diseases (NICD), South Africa. She also holds a joint appointment as a Lecturer at the University of the Witwatersrand and is the chairperson of the Legionella Action Group. She received her PhD in Molecular Microbiology in 2007 from the University of the Witwatersrand. In her position at the NICD, she leads a team of scientists in surveillance and research focused on the epidemiology, advanced diagnostics and molecular biology of pathogens causing respiratory disease in South Africa. He research interests include understanding the burden, epidemiology and transmission of respiratory diseases in order to guide public health policy and action.